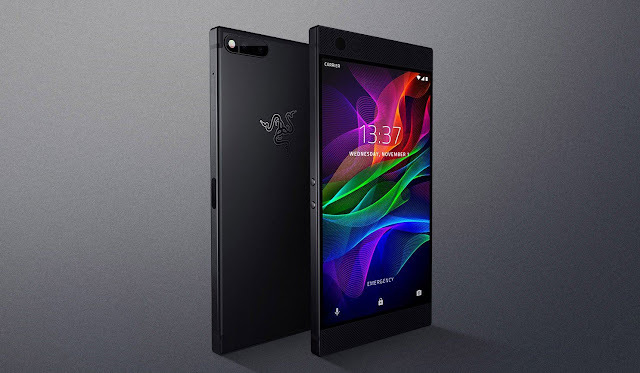 Razer Phone Starts Getting Oreo 8.1, Can Now Be Purchased From Best Buy - AndroGuider | One Stop For The Techy You! When Razer released the first developer preview for the Phone, it stated that the stable update would roll out by mid to late April. We are halfway past April and Razer, keeping its word, is now rolling out the stable Oreo 8.1 update. As for the changes, Razer says that the Oreo update "presents a cleaner visual design and under-the-hood improvements for a better overall experience". 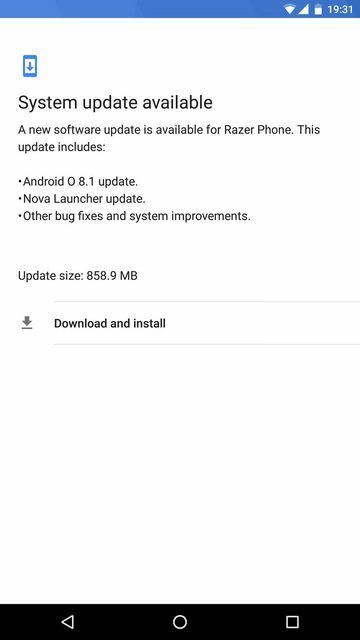 The update includes a newer version of Nova Launcher, system improvements and bug fixes. The Android 8.1 update is currently rolling out to Razer Phone users in phases. Razer claims that the update roll out will be complete within a span of next ten days. If you are using the Oreo developer preview, you won't be getting the stable update and you will have to instead upgrade manually by flashing the system image from here. At the time of writing this article, Razer hadn't uploaded the Oreo images, but given that the Android 8.1 update is rolling out, the new system images should be available soon. We will update this article when the system images become available. Razer has also announced the availability of the Phone from Best Buy. Currently the Phone can only be bought from Best Buy's website, but it will soon be available in offline retail stores. The Razer Phone costs $699.99.